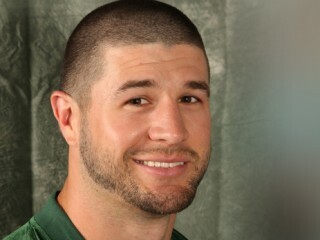 The Jets announced they have promoted Tony Sparano Jr. to offensive assistant and former Jets safety Eric Smith will serve as a seasonal intern. Sparano, 27, has been with us as a seasonal intern since 2012. He played defensive end at the University of Albany from 2006-09 before beginning his coaching career with the UFL’s Hartford Colonials (assistant defensive line, 2010). Before coming to the Jets he was an offensive quality control coach with the Miami Dolphins in 2011. His father, Tony Sparano, served as our offensive coordinator in 2012 and is currently the assistant head coach/offensive line coach of the Oakland Raiders. Smith will begin his coaching career for the same team with which he began his professional playing career. The Jets selected him in the third round (97th overall) of the 2006 draft, and he remained with the team until he was released last February. In his seven seasons with the Jets, Smith recorded six interceptions and 3.5 sacks. The 6’1”, 209-pound Michigan State product started 36 of his 96 NFL games and was a major special teams contributor as well. Tags: eric smith, Tony Sparano Jr.